MAN OR ASTRO MAN ? 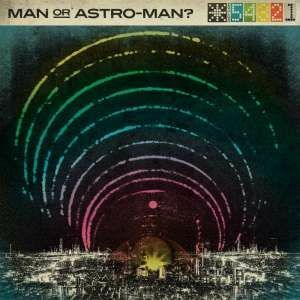 Reissued on 10-inch vinyl, it's the 1997 EP from the highly popular space surf-combo MAN OR ASTRO-MAN? Includes a free download. Any group whose ultimate complot centers around escape and exodus from the Planet Earth and conquest of all its indigenous life forms would obviously not release even a minute, trivial link to their master plan. 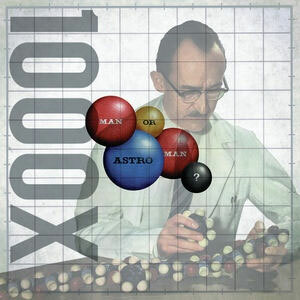 Yet most understandably, the higher-ups of Astro-Tech Inc. realize the need to perpetuate certain conquest propaganda procedures, and thus the possibility of this select Astro-info downlink: Enter 1000X, originally transmitted in 1997. To human ears, 1000X may sound like "music”, but, in all actuality, it is a collection of ultra-modulated tone code transmissions originating from Outer Space, somewhere near the grid sector 23-B61. To capture these audio emissions, Starcrunch, Birdstuff, and Coco underwent self-inflicted electrical torture. This, combined with sleep deprivation, helped to produce the sonic sound unit that is 1000X. 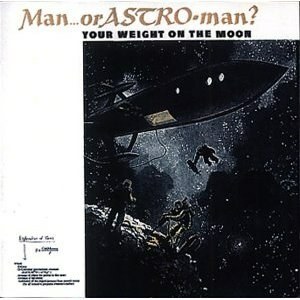 Altering mini-customary Astro procedures, the Astro-Men began to reveal the true sound of what lies beyond this atmosphere as the majority of Earthly transmission influences have been processed through various analog filter devices and eliminated. But don't wait long to acquire this alien masterpiece. Moon goo is limited and so are these!